Which technologies will survive Groundhog Day? As many of you know, this week, we will observe our yearly tradition of Groundhog Day. On February 2nd, the widely-popular, Punxsutawney Phil will emerge and signal to us either an early spring or six more weeks of winter. Technology is not much different! Every year we reach a point where some products will fade away, much like winter, and other products will spring into their relevancy. So which products are going to hang on in 2016 and which products will be going the way of winter and disappearing? In the following post, we have grouped some high-level products into two categories: winter and spring. The winter category represents products that are on their way out the door; and spring represents products that expected to blossom in 2016. • PCs: In 2015, there was a continued decrease in sales for PCs and this is expected to remain consistent throughout the year. In fact, it has been reported that PC shipments declined 10.3% year-over-year from 2014.1 Don't be surprised if this product doesn't become extinct in 2016, but becomes even less relevant. • iPod: The iPod has been in a steady decline the past few years ever since the introduction of the iPhone. It was initially introduced as a product that revolutionized your music listening experience, and it accomplished that. However, it's fair to say that technology has well surpassed the capabilities of the old iPod. God rest its soul! 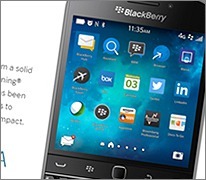 • BlackBerry: What was once the dominant force of handheld devices has seen significant decrease in the last decade and forecasts don't seem to be any more promising in 2016 for BlackBerry. There were even rumors towards the end of 2015 that BlackBerry might cut all production of mobile devices.2 As it's turned out in November of 2015, BlackBerry launched a new smartphone called the PRIV, which is has been produced through an exclusive deal with AT&T3. Needless to say, the decline in sales for BlackBerry does not appear to be slowing down anytime soon. • PlayStation VR: this product will be compatible for a select number of PlayStation 4 games. • Oculus Rift: also a game-based headset, this product allows the user to play video games from the AAA games brand. • HTC Vive: As a PC-based device, the user has the ability to play a variety of games provided by Steam. The expected launch is April of 2016. 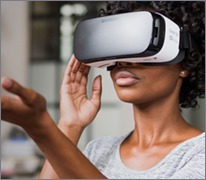 It'll be interesting to see the success of these products post-release, but all signs are pointing towards a big year for virtual reality! Stay tuned for these products and many more upcoming device releases. • Smoke & Carbon Monoxide detecting battery: This product comes to us from Roost and will send any smoke or carbon monoxide alerts straight to your smartphone. • Smart Home Locks: This product comes in the form of a normal looking door bolt lock, and will send you alerts on activity and allow you to lock and unlock your door from any location. This device is produced by Kevo. 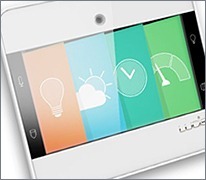 • Smart Home Controlling System:This touch-screen product, produced by NuBryte, features a built-in camera, the ability to turn your lights on and off from your device and alert people when you are on your way home. As mentioned before, the technology life-cycle is ready to rear its bittersweet head in 2016 and some devices will meet their demise while others will take their place. I understand all of this this talk of technology fading away can feel a bit cynical, so I will close with a line that probably best summarizes the technology industry today and was also made popular by a famous dancing groundhog in the movie Caddyshack, "I'm alright. Nobody worry 'bout me". Bring it on Groundhog Day, we're ready!